Fed by disintegrating meteors and located 50 miles above ground, Antarctica’s icy blue noctilucent clouds have made their annual appearance over the frozen continent. Scientists say these unusual clouds are arriving earlier than usual, and greenhouse gases are the likely culprit. 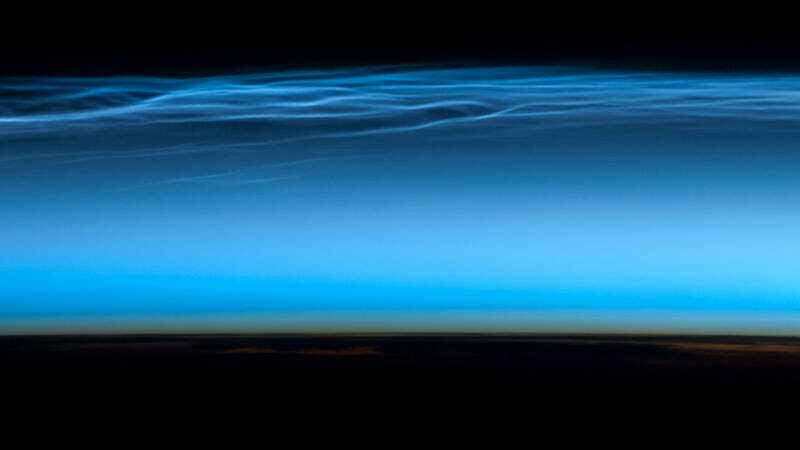 Noctilucent, or “night-shining,” clouds are Earth’s highest clouds, located in an upper layer of our planet’s atmosphere called the mesosphere. These clouds are comprised primarily of ice crystals, which glow a bright, brilliant blue when they reflect sunlight. It’s currently summertime in Antarctica, which means it’s noctilucent cloud season. These clouds form when the mesosphere is most humid, as water vapor lifts up from lower altitudes. It’s also the time of year, as winter ends, when the mesosphere is the coldest place on the planet, featuring temperatures as low as -210 degrees Fahrenheit (-135 degrees Celsius). 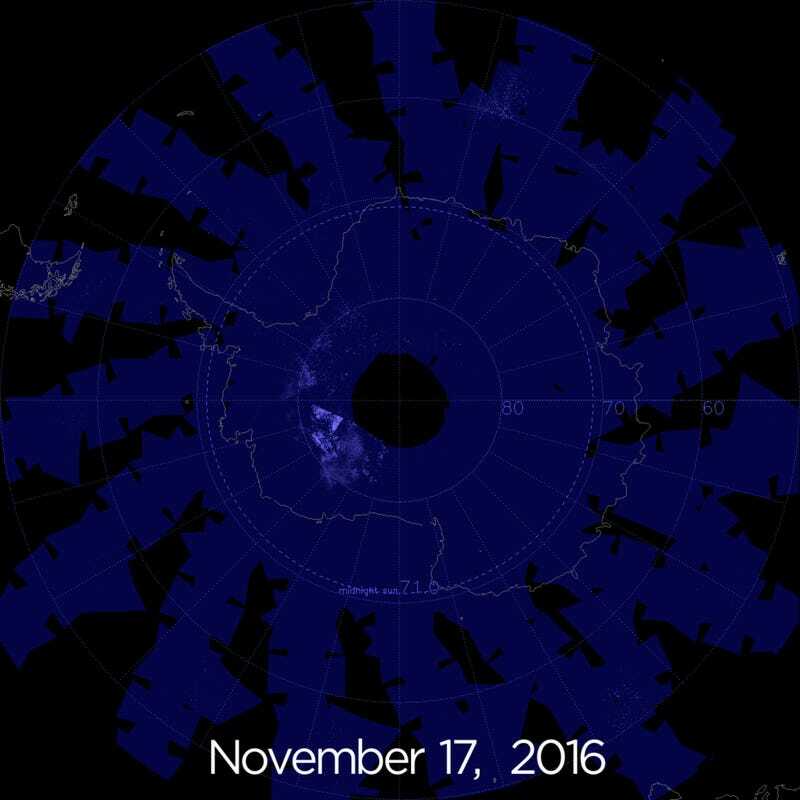 This year, NASA scientists marked the start of noctilucent cloud season on November 17, 2016—which ties the earliest start date on record. In the past, these clouds sometimes didn’t appear until as late as mid-December. Over the last few decades and years, noctilucent clouds have become brighter and they’re starting to spread closer to the equator. Some scientists say this is the result of the greenhouse gas methane. When methane reaches the upper atmosphere, it’s oxidized by a series of chemical reactions that form water vapor. This extra water vapor freezes, creating ice crystals that form the noctilucent clouds. Scientists say noctilucent clouds are a “canary in a coalmine” for methane, a particularly nasty greenhouse gas that contributes to climate change.